The best driving experiences are those which give you plenty of time on the road and get your heart racing in the best possible way imaginable. 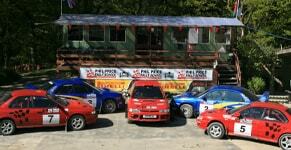 From the moment you arrive at our venue, we want your time at Phil Price Rally School to be exciting and life-enhancing. We promise a thrilling white-knuckle ride for all participants with 7-hour rally days that pack in plenty of driving. Our driving experiences culminate in a competition against other competitors where you have a chance to win a trophy. We even have a presentation ceremony afterwards, so you can feel like a true rally driver! And since we have runner’s up plaques, nobody goes away empty handed. Learn rally driving techniques and safety. We promise the ride of a lifetime from beginning to end with instructors who are here to give you a good time. 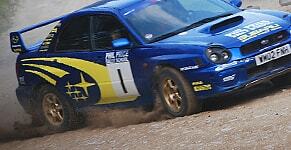 Rated highly on Trip Advisor, Phil Price Rally School enable you to pay half in advance and the rest on the day. Located in the rugged terrain of the Welsh countryside, our venue has stunning views and winding roads that will test your driving skills. Find out why we throw the best driving experiences today!